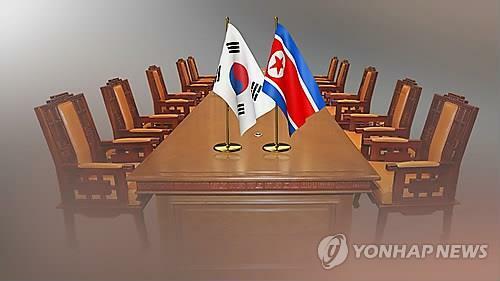 SEOUL, Nov. 23 (Yonhap) — South and North Korea agreed Friday to actively cooperate in modernizing underground cables set up across the border village of Panmunjom for direct communication lines, Seoul’s unification ministry said. They held working-level talks at the joint liaison office in the North’s border city of Kaesong, focusing on replacing the current copper phone cables with fiber-optic ones. “The two sides decided to continue consultations over related concrete issues,” the ministry said in a statement. Chung Chang-rim, a senior official from the ministry of science and ICT, led a five-member South Korean delegation. His North Korean counterpart was Ri Yong-min, a senior official handling the North’s communications affairs. The North first proposed the meeting earlier this month. Officials said the Koreas plan to carry out the project in a way that does not violate anti-Pyongyang sanctions. Earlier this year, the U.N. committee on North Korea sanctions made an exception to sanctions for the South, permitting it to provide the North with fiber-optic cables and other supplies to restore military communication lines between the two sides. Dozens of communication lines are set up across the heavily fortified border for direct phone, fax and other hotlines between the Koreas, which are still technically in a state of conflict as the 1950-53 Korean War ended with a truce, not a peace treaty.